Stoneham workers depend on the T to get to work and they want more choices in how to commute using the bus and connecting to subway stations. 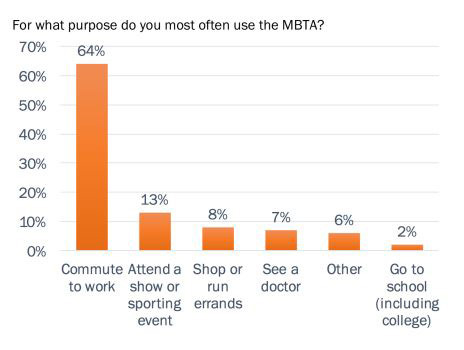 The Stoneham Transportation Advisory Committee (STAC) conducted a 2016 survey on MBTA (Massachusetts Bay Transportation Authority) usage and found most MBTA riders are using the T to get to work Monday through Friday. 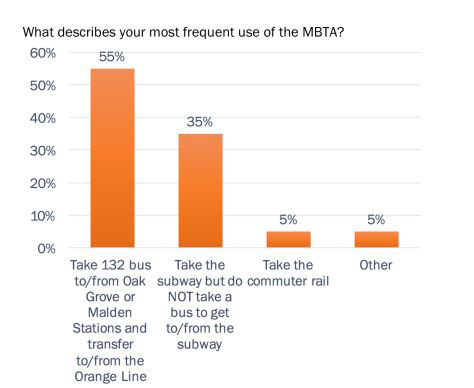 Those users wanted expanded hours and more frequent service on the existing 132 MBTA bus route as well as more bus routes in Stoneham and better connections to Orange Line subway service. Most riders use the T to commute to work and a large number use the exiting 132 bus, which had its hour expanded to 11 pm this past March. This is all the more important for the small but growing number of people who do not have regular access to a car.